Posted by bobv451 in business, e-books, ideas, money, VIPub. “If you cannot measure it, you cannot improve it.” Lord Kelvin’s statement works for things technological. If you can’t measure it, what do you really have, anyway? When it comes to matters like psychology, mathematical analysis gets chancy. (Mike Stackpole tweeted on this article earlier today) Can you mathematically define happiness? Considering that they used chaos theory ought to give a clue to that. The starting point (boundary conditions) affect the outcome. Begin a wee bit differently and you get, possibly, a hugely different result. VIPub (Vertically Integrated Publishing) authors have to choose not only where we start but what our desired outcome is. That decided, how do we measure it? For years I have followed investment newsletters. The more I look at them, the more contradictory the advice becomes. The recommendations turn into Johnson-Nyquist background noise. For every one saying “buy” another says “sell.” It comes down to my gut feeling and how I see the future. The best that can be done to avoid the analysis paralysis is to choose an advisor who produces the best result, however imperfect, and ignore the rest. It all averages out to average mush otherwise. The big question in VIPub is how to get eyes onto your book. I’ve tried lots of schemes and will try many more to find better ones. But the analysis of how to say one is better than the other technique shouldn’t be too hard. It shouldn’t be just what sells books. You can rack up impressive numbers by giving your book away for damned little. A different metric is to my liking. The money in the bank is the counter, the measurement, the end result of various experiments. The Laffer Curve might well pertain here. How much should we spend on promotion/advertising for the biggest monetary return? (I won’t entertain political argument on this–I think the Laffer Curve is a model of reality and don’t care about your opinion). If pricing low and selling huge numbers works better than higher prices and fewer sales, go for it. But it could well be the other way around. The measurement: total money in your pocket. 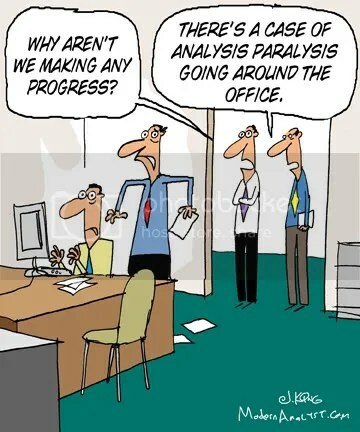 The trouble comes in analysis paralysis, having too much data. Reading other blogs on this gives me the impression nothing works–and everything works. David Morrell once said at a WWA panel, 10% of your time ought to go for promotion. And no more. Your time is better spent writing (and I agree). But what kind of promo? Another bit of advice was to make a list of all the possible promotional gimmicks you can do–then pick 3 to pursue. A new wrinkle is introduced with paid advertising. Do FB or Google ads work? Maybe not if an ad has to be seen 7 times to be effective. They can sell more ads than you can afford. Again, what return do you get for your money? The maximum bang for the buck?